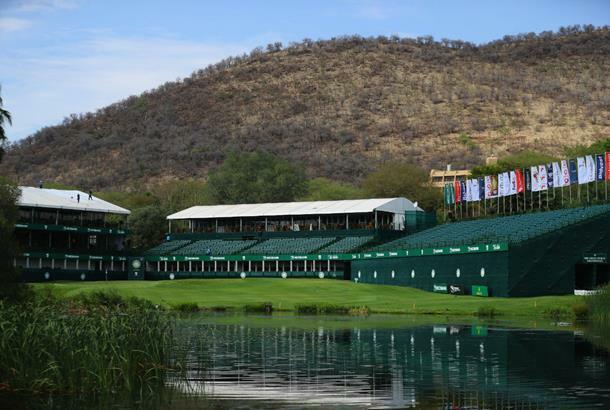 The Rolex Series makes its return in South Africa this week for the Nedbank Golf Challenge hosted by Gary Player – and for some, there’s a lot at stake. It’s the penultimate tournament before the season-ending Race to Dubai at the DP World Championship, and just two of the current top 10 in the rankings – Rory McIlroy and Haotong Li – are making their appearance this week. They are just two of the five players left in the Race to Dubai who could actually claim the title of European No.1 next week: Dunhill Links Champion Lucas Bjerregaard is the only other player in the field at Sun City who could mount a challenge, while both partners of ‘MoliWood’ are sitting the South African leg out. Bjerregaard and Li would need back-to-back victories to win the overall race, while McIlroy needs to win at least one of the next two events and finish in the top 2 in the other. Fleetwood would need to win in Dubai, so at the moment things seem to be positive for Open Champion Francesco Molinari. Because the others in the top 10 (Patrick Reed, Xander Schauffele, Thorbjorn Olesen, Alex Noren and Eddie Pepperell) aren’t playing at the Nedbank, they won’t be able to mathematically catch Molinari during the DP World Tour Championship finale. McIlroy, Li and Bjerregaard will be joined this week by recent Valderrama Masters Champion Sergio Garcia and defending champion Branden Grace, who was the first South African to win the Nedbank Golf Challenge since Trevor Immelman in 2007. But who should you back this week? A disappointing outing in China at the WGC HSBC-Champions, but McIlroy is the top ranked player in the field and highest ranked player on the Race to Dubai competing this week so not to be overlooked. Still has a mathmatical chance of winning the season long race for a fourth time. Ranks 3rd on European Tour for scoring average, and inside the top 10 for SG: Tee to green and SG: Off the tee on the PGA Tour last year. Garcia has a successful record here, and returns after winning the Valderamma Masters for the third consecutive time. In nine visits, he’s won twice – but it’s worth noting that that was back in 2001 and 2003. The last time he teed up in Sun City was in 2013, when he finished 2nd. Haotong Li had a difficult time last week, three putting on the 18th to end up in a playoff before losing to Justin Rose after making another three-putt mistake on the green. However, with a worst result of T11 in his last four starts and a 4th place finish here last year, here’s definitely worth a bet this week. The South African native hasn’t finished worse than T14 in his last 7 appearances in Sun City, which includes four top 10s. He returns to the European Tour following a stint in the USA, finishing 5th in the CIMB classic and T29 at the The CJ Cup. So far on the latest season of the PGA Tour Oosthuizen is ranked 1st for Greens in Regulation, 7th for Driving Accuracy and 13th for Scoring Average (Actual). Bjerregaard has been one of the most consistent performer of late on the European Tour, with a victory and five other top 10s in his last 7 starts. In two appearances at the Nedbank he’s gone T32-T37, and will need to win to keep his hopes of the Race to Dubai title alive. Ranks 2nd birdie average and GIR, 9th SG: Tee to green and 19th SG: Off the tee. Luiten has a good record in Sun City, having gone T12-T14 in his last two visits. He’s been sidelined for a portion of the year with a wrist injury but returned in Valderrama and also played in the Turkish Airlines Open last week, with results of T11 and T23. Sullivan has been on an upward streak of late (with the exception of the WGC HSBC-Champions), that includes two top 10s and a T18 in Turkey last week. In three appearances here he’s gone T16-T3-T65. Ranks 1st for birdie average, 2nd SG: Off the tee, 9th for scoring average and 11th SG: Putting on the European Tour. A player who has seen a return to form, and one who has proven continued success at this course. The 2014 champion finished T4 in 2015 and T11 in 2016 – which was the last time he teed up here. Horsfield might have made headlines for taking an innordinate amount of time over the golf ball before his T10 last week, but that doesn’t mean he isn’t performing. First trip here but might be a good outside bet. Although recent results don’t indicate incredible form, Fichardt does have four top 10s and a victory under his belt on 2018 (which came in March). The South African also has a good record here, finishing T6 last year and T12 in 2013.